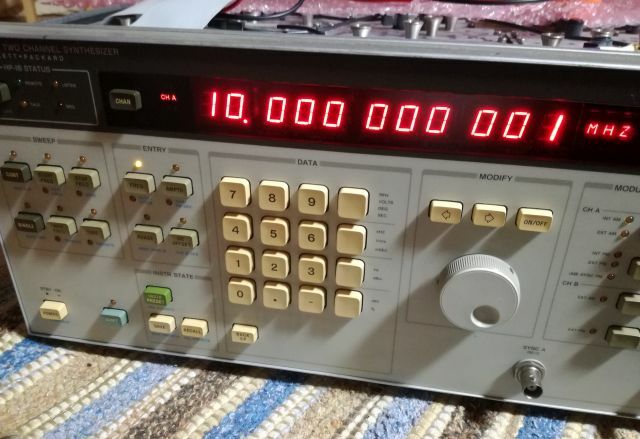 This HP 3326A was found for a ridiculously low price, non-working, so I decided to pick it up, in case I need some spares for my good 3326A, or as a source for some HP parts. But when it arrived, it was in such good shape that a repair appeared worthwhile. The symptom, it just doesn’t start up, the +15 Volt and -15 V rails shorted. Brief check showed that the power supply is working. There must be a short somewhere in one of the modules. How to find such short? The 3326A has a cast aluminum cage construction, which houses all the modules in separate cavities, all heavy cast metal! 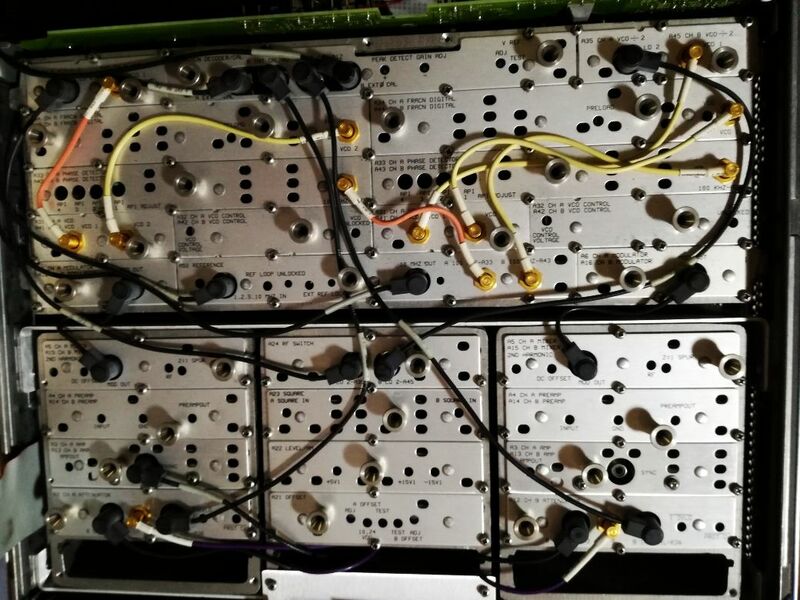 To find the defective module, we first have to undo 100s of screws… and usually the last module will be the one at fault. Half an hour later – found that both (!) phase detector boards – these are identical for channel A and B – have shorts. Some more probing later – the reason a couple of shorted tantalum caps, 15 microfarads. 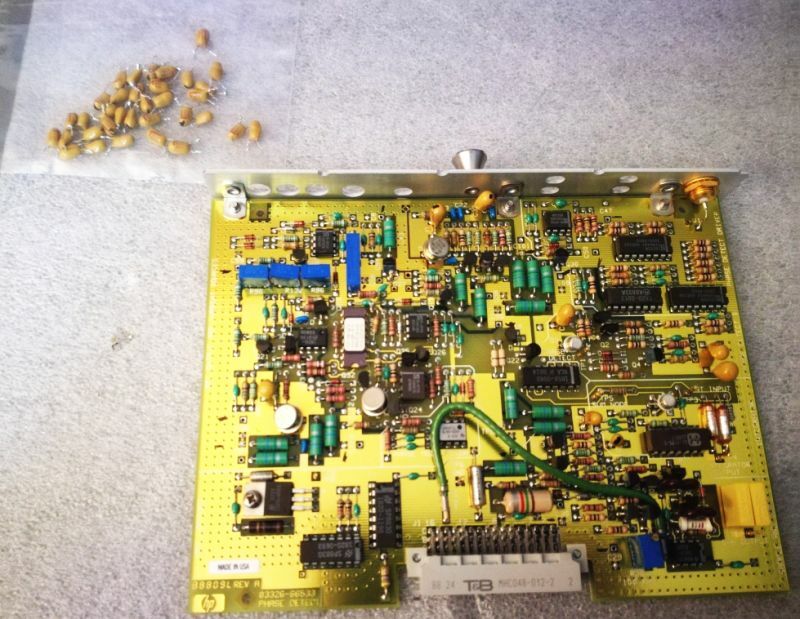 These are in general high quality capacitors, but it must have been a bad batch. 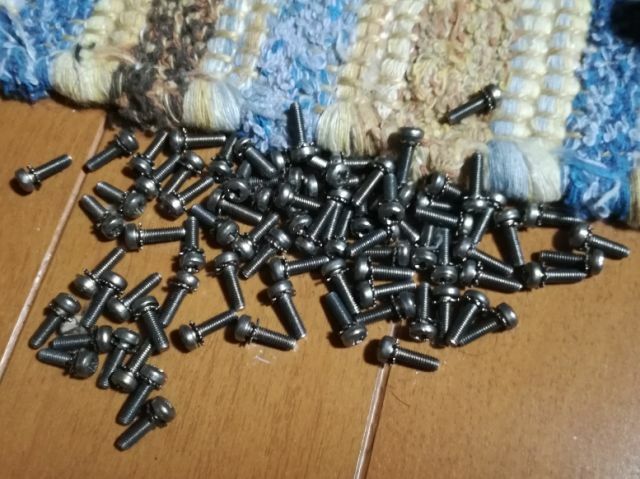 So, let’s desolder all the 15 uF caps, and solder in new ones. Even with the dead caps cut-out, the 3326A is working again! No issues with any of the self tests, including the service self test (push button self test-%-6 to activate). Some maintenance is also needed on the power supply. 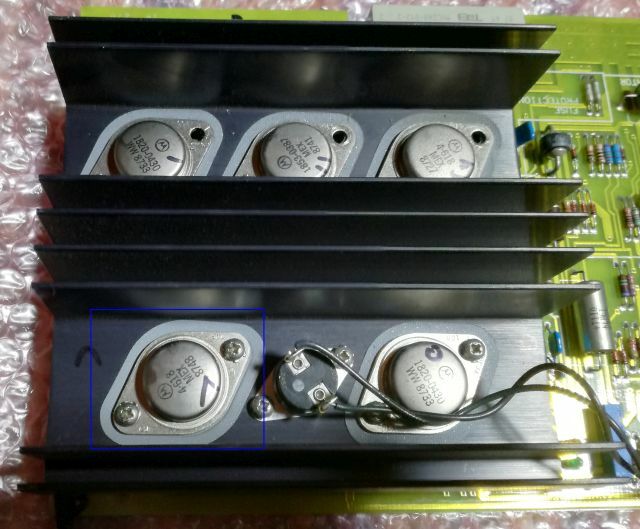 Checked all the transistors which are known to develop issues with the sockets. And added some thermal compound to the 5 Volt rail transistor which was running a bit hot. 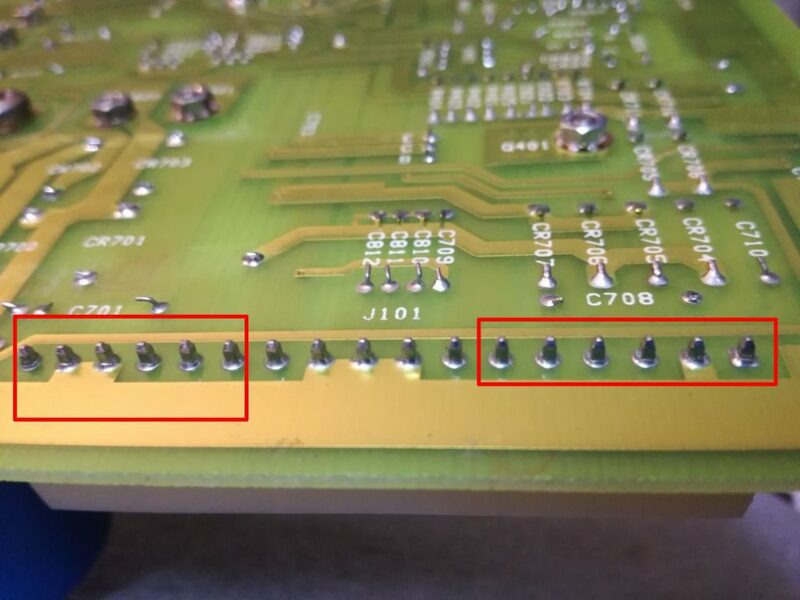 Also, the connector to the transformer has the typical bad soldering and cracked solder joints, all now re-soldered with a generous amount of good old lead containing solder. 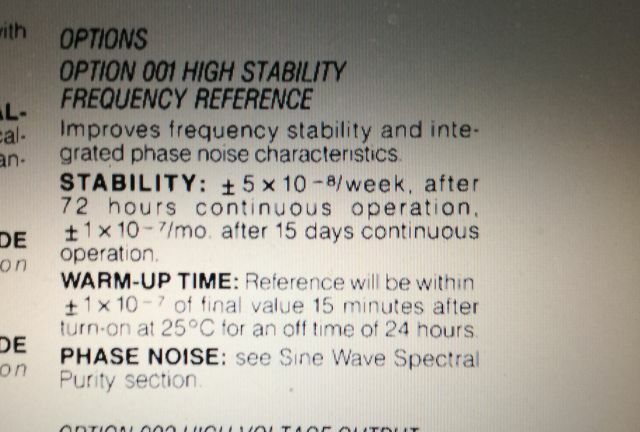 This unit even has option 001, the precision ovenized reference. 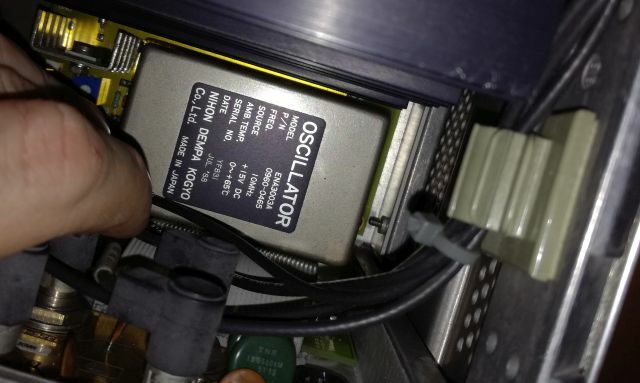 There is no manufacturer datasheet available for this Japanese OCXO, but the HP manual has all the data. It is not an ultra-stable timing standard, but by far good enough for a two tone synthesizer. 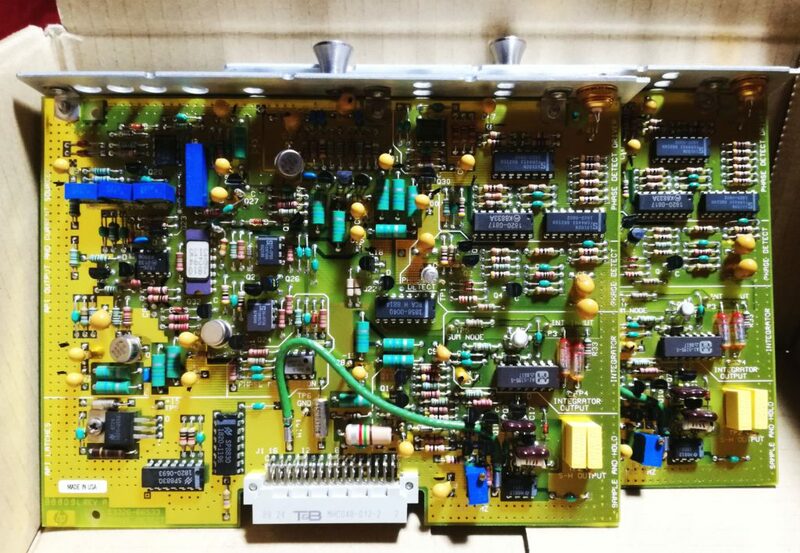 Previous PostHP 8754A Network Analyzer: gold, sapphire and still low outputNext PostHP 6038A System Power Supply: all fixed!